This is Bubba’s travel blog but, before we start with the travel bit, we need to explain who Bubba is, how he came into our lives, and why he travels with us. At this point I also have to add the required disclaimer: “The following accounts are the facts as I choose to remember them. Any alternate views of events are probably just as accurate as mine but this is my story so, right here at least, my facts are the factual facts.” With that out of the way, I’ll explain about Bubba. My wife, Spider, and I love to travel. The more we go, the more we see and the more we see, the more we learn…and hey, it’s just fun. 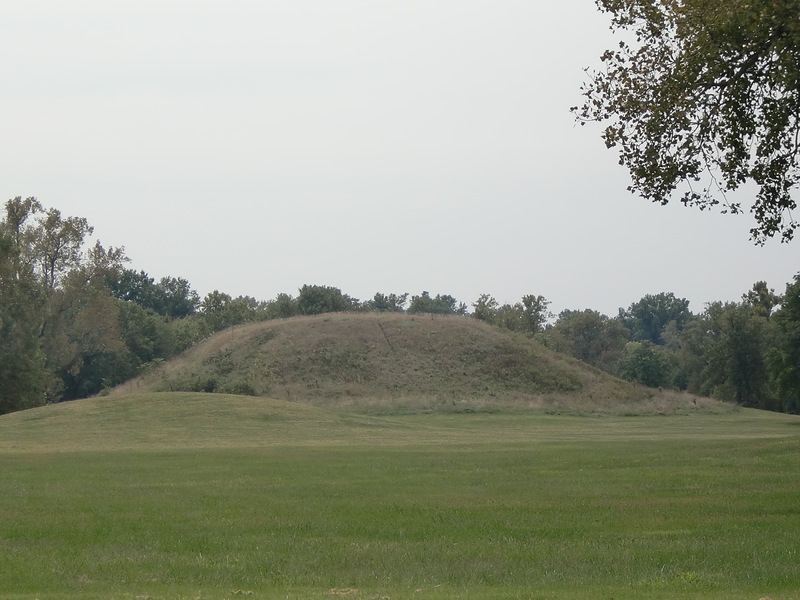 On a trip last fall, with a whole different story, we came across Bubba at Cahokia Mounds. Cahokia is a prehistoric site of a large Indian community located in Missouri. It resembles what we are used to seeing the Aztecs and those folks put together, but it is older. It also ranks as a UNESCO World Heritage site so it was deemed worth a look. Who knew how fate would step in and change our lives. As we pulled into the parking lot, we were overcome by a mystical feeling with visions of swirling grey clouds and generations of ancestors riding on the winds. Large mounds and a wooden version of Stonehenge lay all about us. Something guided me to a parking space away from all the others and I pulled in. I opened the door, stepped out and almost stepped right on Bubba who was lying next to the car. 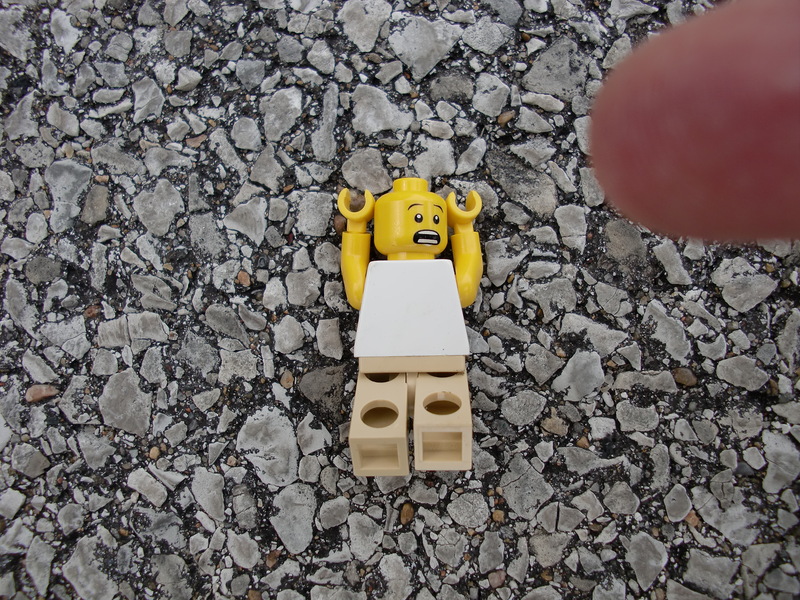 I quickly called for a camera to record this historic incident and here is a picture of Bubba as I first found him. He still has the look of alarm because he thought he was about to be stepped on, but we turned that into a rescue mission instead. Bubba has a boxy shape with a strange knob on his head. I believe that is used to funnel positive travel energy. It was not long before Bubba earned his place as our traveling companion. 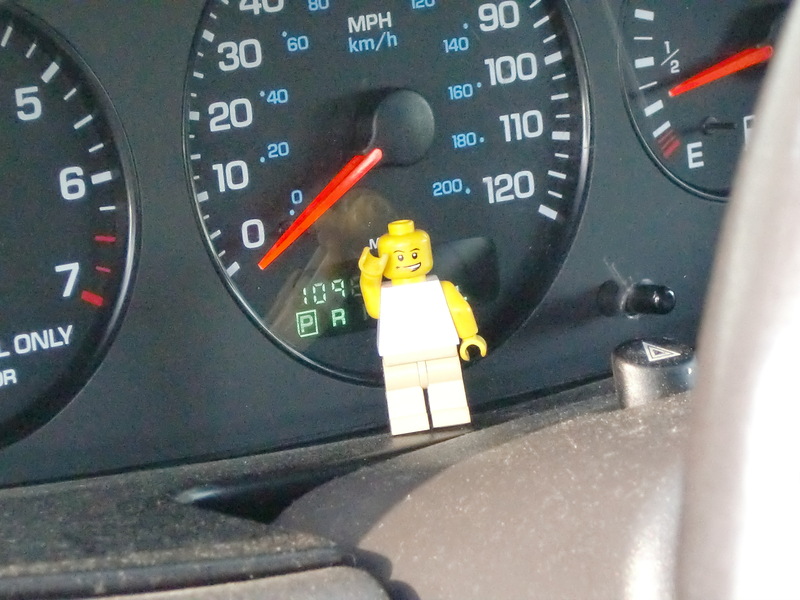 We were driving down the freeway and I was dreaming of a NASCAR win when Spider said, “Don’t you think you are going a little fast?” As is fated after a statement like that from one’s wife, the next thing I saw was a State Trooper parked in the center divider, looking my way. I slowed, but not quick enough for soon I had the pleasure of seeing an amazing display of colored lights in my rear view mirror. I pulled over and was greeted by the biggest State Trooper I have ever seen. He ambled up to the car with the look of a fisherman who has just hook a big ‘un. He asked for my paperwork and noticed Bubba, who waved to him. After looking at Bubba for a few seconds, the Trooper turned pale and apologized, said his radar unit was broken, and left. Bubba’s good luck Ju-Ju was proven and he earned a place in our travels. We bought him a new flowered shirt for the occasion. On our trip, the three of us (Bubba, Spider, and I) will stick to travel. We will use planes to get there, trains with a couple of cars thrown in to move about and a whole lot of walking. I will warn you in advance that if I get tired of writing, Bubba may have to step in and give me a hand. Hastily picking traveling companions can sometimes lead to problems and making the decision to bring Bubba with us proved that point several times on this trip. Very nice blog Bubba, I’m glad you enjoyed your journey in France ! He isn’t a bad companion at all. He doesn’t need his own seat on a plane, doesn’t complain…much, and has minimal luggage. Best of all, I can blame him for wanting to stop for a pint now and then.